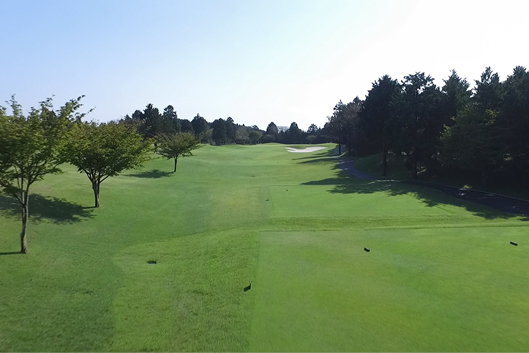 A par-3 where you aim the fairway on the left side. 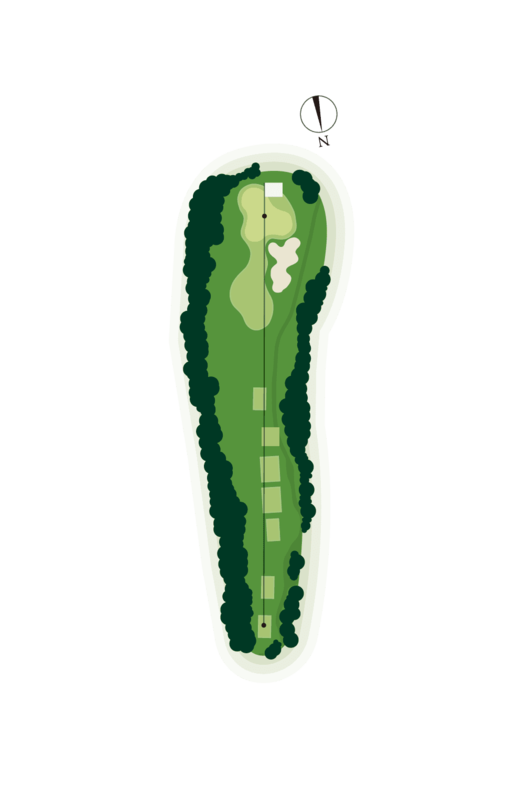 The green has a steep slope, rising to the right, so your ball could roll off the green if you land it in a bad location. 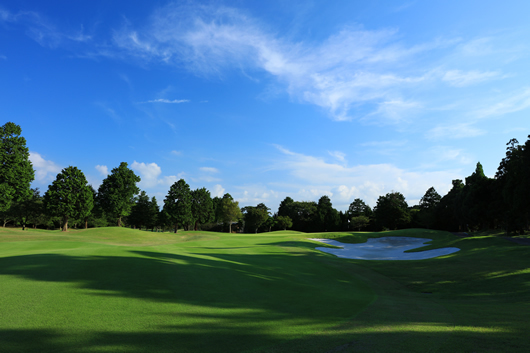 Furthermore, there is a deep bunker on the right side and difficult to escape from.